Nearly 1,000 Atascadero homes and businesses must endure a gas outage for at least several days. Atascadero police responded to a gas leak around 9 a.m. Sunday near Entrada Ave. and Palma Ave. Southern California Gas Company personnel arrived and discovered a water main break that damaged a neighboring gas line. The gas company then shut off service to homes and businesses in the area after determining that water had entered a pipeline. Police and city personnel closed roads in the area while workers assessed the damage. Southern California Gas Company crews must now flush out and repair damaged gas lines. The gas company assures that the area is safe, but warns that residents may smell the odor of gas. 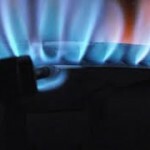 Concerned residents are encouraged to contact the Southern California Gas Company.